Will Big Solar perpetuate the abuses of Big Oil? I come from Maine, a small but mighty state. Don’t hold our demagogic governor against us; we are a beacon. The Maine Democratic Party was the first to abolish superdelegates. Mainers confronted the fossil-fuel industry, preventing tar sands from traversing our state. We are one of the only states in which the number of local farms increases while the age of farmers decreases. Now we send a warning to the rest of the nation: beware of Big Solar. Here in Maine, we’ve learned that the solar industry is not always the force for good that many believe it is. “Big Solar” companies emerged to help catalyze and profit from the transition beyond fossil fuels. These companies build large solar farms and provide infrastructure for home owners to go solar. Their efforts are paying off. This year, the United States is set to double solar-energy development. For the first time, solar installments outpaced growth in the use of natural gas. Yet a drama fresh from the Maine State Legislature shows that Big Solar is prioritizing its business model over necessary innovation and the sovereignty of local communities. L.D. 1649, “An Act To Modernize Maine’s Solar Power Policy and Encourage Economic Development,” was a groundbreaking solar bill that appeared before the Maine legislature in its most recent session. The bill proposed an additional 248 MW of solar power and a new solar purchasing and credit system. As Maine’s Portland Press Herald (PPH) reported: “The Maine solar bill would have replaced net metering with an innovative but untested alternative credit system that was crafted by a coalition of local solar installers, top Democrats, the state’s public advocate, utility companies and the state’s clean-energy and conservation groups.” This historic coalition and novel system attracted attention across the nation. Unfortunately, this bill and Maine’s climate leadership was squashed by Governor, Paul LePage, in April 2016. 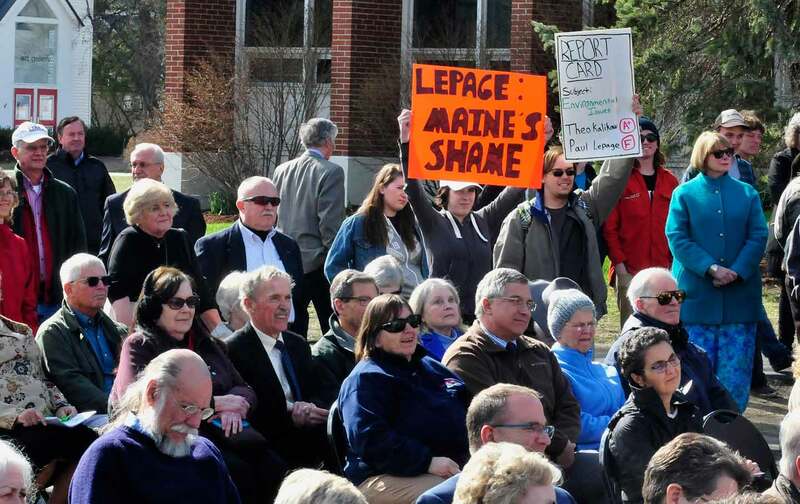 The legislature failed to garner enough votes to override LePage’s veto. Since the bill’s defeat, solar projects have been scaled back or canceled, as they are no longer considered financially viable. Johnson said that he’s spoken to several local solar installers who are losing work due to uncertainty around Maine’s solar future. Beneath the familiar headlines decrying Governor LePage’s regressive agenda was the critical fact that he was not alone in lining up against Maine’s solar bill. His cause was joined by another actor: Big Solar. SolarCity and SunRun—the first- and third-largest residential solar installers in the United States, respectively—spent thousands of dollars on a full-scale offensive to defeat Maine’s solar bill. Why? Big Solar’s business model is based on net metering, a standard solar-crediting system that LD 1649 would have replaced. As The Portland Press Herald stated, Big Solar was “fearful that the bill would threaten their business model,” so these “national companies took steps that helped LePage and Republicans, at the expense of local solar installers and their Democratic allies.” In follow-up research, the PPH found that Big Solar “feared the new, untested credit system would catch on in other states,” further threatening its modus operandi. In other words, Big Solar chose to protect its business model at the expense of community-based energy innovation that would have made solar energy accessible to many more people. Is this the renewable energy revolution that you imagined? Last year, I wrote in The Nation about an idea called the “radical now.” Progressives describe a brighter future that prioritizes positive values: equality, empathy, justice. Yet change-makers often do not reflect these values in their day-to-day lives. The ideals of a new world stay trapped in the future, perpetually out of reach. The “radical now” means that we need to embody the values of a better world now, in this world. We risk repeating destructive cycles when we do not live the radical now. The actions of Big Solar in Maine do not represent the radical now. Rather, they echo many of the fossil-fuel industry’s defensive behaviors. Big Solar, of course, does not produce an energy that threatens everything that we know and love. But—by choosing to defend its business model over the innovation, agency, collaboration, and creativity of local communities—it has aligned itself with climate change–denying politicians like LePage. It advocates for status-quo policies that slow the growth of solar energy. It ignores the voices of local people and businesses. I work towards a clean-energy future, but not one like this. In my state, an extraordinary coalition has attempted to live the radical now by creating a new system that would spread solar energy to new constituencies and sectors. Big Solar’s opposition to this crucial work is a warning to the rest of the country of a new growing power. Maine’s experience is also an opportunity to reflect on the world that we create. We need solar power, big and small, to move beyond fossil fuels. Will Big Solar perpetuate the abuses of Big Oil? Or will it be the “radical now”? It’s up to us to choose the kind of world that we want to create.